Product #27099 | SKU 99MO023119 | 0.0 (no ratings yet) Thanks for your rating! 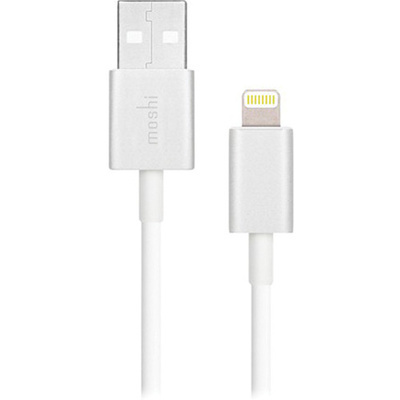 The white Moshi 3.2' USB Cable with Lightning Connector is designed to charge and sync a Lightning iPhone, iPod or iPad. This USB 2.0 cable is encased in aluminium and shielded to reduce electromagnetic interference. It connects to your device directly or through a dock, to a USB port on your computer or power adapter for charging and syncing.